Rarely do we receive a review copy of a book written by one of our subscribers that is so eloquently written, organized and well-edited. The author clearly had an inspired mission to give fellow Americans and Christians the tools necessary to make lifestyle changes that are in alignment with their faith and commitment to live their life as a reflection of Christ. 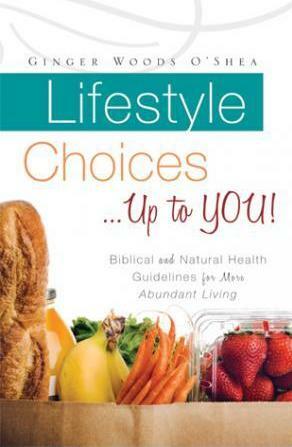 Although the book has an appropriate gathering of Biblical quotes to augment her message, the book is a useful tool for people of all faiths to take responsibility for the choices they make daily in how they take care of their body temple, the vehicle God gave us to fulfill our respective missions here. The book starts out as a workbook clarifying for the reader the importance of having a health paradigm that is in harmony with God’s laws for health. Readers will learn the difference between natural health care and conventional medicine, the poisoning of our food supply and the danger of the allopathic medical paradigm of symptom suppression that avoids the real issues pertinent to health and vitality. Genetically modified food, sugar, aspartame, splenda, MSG, vaccines, phthalates (plastics), microwave ovens and Teflon cookware are covered succinctly followed by the diet and environment God gave us to flourish and have the vitality He gave us. Instead of focusing on the problem, the author lovingly teaches what all of us can do daily to turn the tide and restore our health. The mind/body connection is also addressed as well as how to deal with our emotional side - eating and acting for emotional comfort rather than adherence to God’s Word and gaining the emotional strength and willpower we need through prayer. The author realizes that most people carry around tapes telling them what is okay, despite whether these tapes are based in reality or not. Appropriate Biblical quotes throughout the book emphasize the need to re-examine these beliefs if we are to make the necessary changes to restore our health. Scriptural truths are emphasized near the close of the book to remind us of God’s promises to the faithful adherents of Christ’s teachings. Finally, the book ends with the suggestion to form a small, local group for support in applying the outlined principles for lifestyle change. When I was first introduced to the author a year ago via email, she expressed an interest in joining Vaccination Liberation and being a contact person for people seeking help for vaccine exemptions in her state of Georgia. Since Georgia is also the headquarters of the CDC in Atlanta, I was elated that this brave woman was willing to support others in Georgia who wanted to be free from toxic injections they were pressured to give themselves or their children by daycares, schools, employers or even the state itself. She had told me that she was retired and spending much of her time writing a book on health and found her vaccination section expanding beyond the space she had originally allotted to the topic due to the importance of the information she had been gathering through her research. This book may be one of the most important gifts you can give a friend or family member. It not only has the potential to save lives but can also help to save our planet while strengthening the reader’s faith and commitment to restore their health.